November 2013 – You can't take the sky from me. So about a month ago I travelled in one week from Hamburg via Zürich and San Francisco to Oakland and then via San Francisco, Munich and Basel to Freiburg to attend the LibreOffice Hackfest Freiburg 2013 and back to Hamburg. The Freiburg Hackfest is the third and last Hackevent we had in Germany this year (after the Impress Sprint in Dresden and the Hackfest in Hamburg) nicely accompanying the international events like the LibreOffice conference in Milan and our usual presence at FOSDEM. So, LibreOffice 4.2.0 alpha1 has been tagged upstream a week ago. It is an alpha release, essentially only a tagged snapshot of the LibreOffice master branch and as such might eat your kitten and kill unsuspecting relatives. 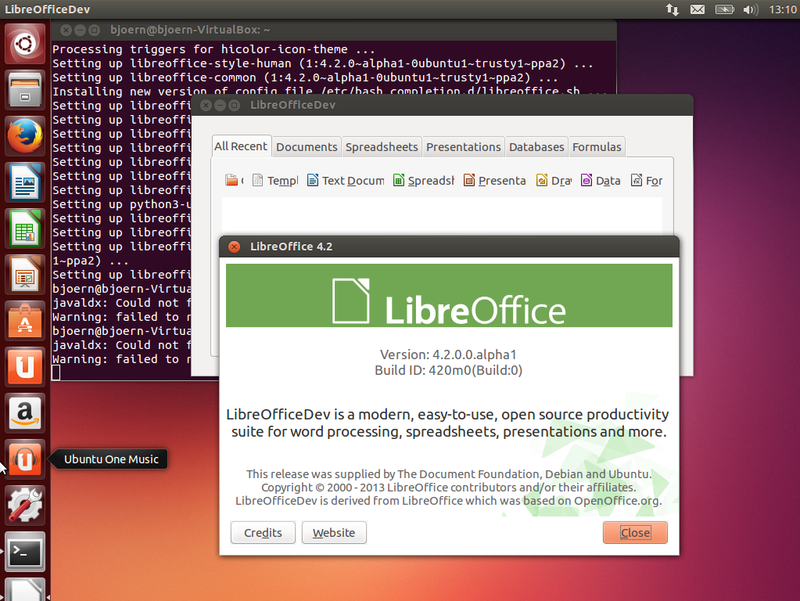 On the other hand, if you absolutely are of the type that Metallica roars about in the above quote and therefore you are running the development release of Ubuntu (trusty tahr, which will become Ubuntu 14.04 LTS), you can add the LibreOffice prereleases PPA and try it out and report bugs. Of course, you should not use this in a production environment of any kind! Im happy to see that this build available again a week earlier than last year, as early testing allows more bugs to be triaged and fixed in time. The more important difference though is that last year, the alpha version was build on the stable and released version of Ubuntu, while this year the version is already build against the early and moving development version of Ubuntu.